You will soon be able to instantly identify people using a futuristic facial recognition app on your smartphone. The app scans faces and brings up a profile with information about the person including links to their social media profiles. 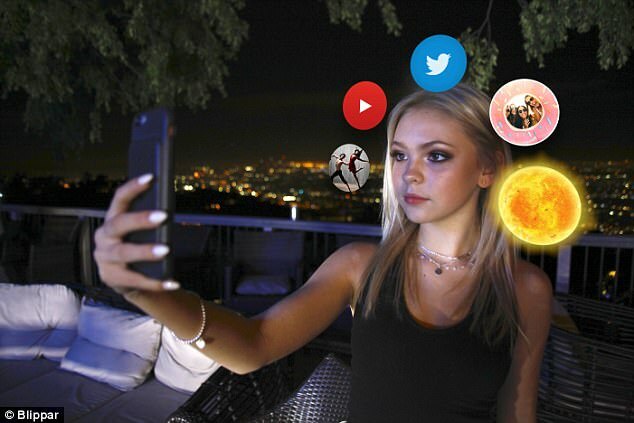 The augmented reality technology, from London-based firm Blippar, can recognise over 400,000 public figures and has a more than 99 per cent accuracy rate. 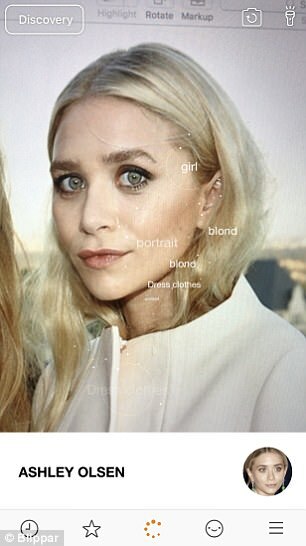 It can even tell apart identical twins such as American actresses the Olsen twins, British Olympic runners the Brownlee Brothers and Irish pop duo Jedward. The app mostly recognises public figures, including actors, politicians, musicians, singers, entrepreneurs, authors, sports stars and scientists. Users can also set up their own face profiles, which include curated information and images including optional links to social media profiles, favourite music and even their own celebrity lookalike. 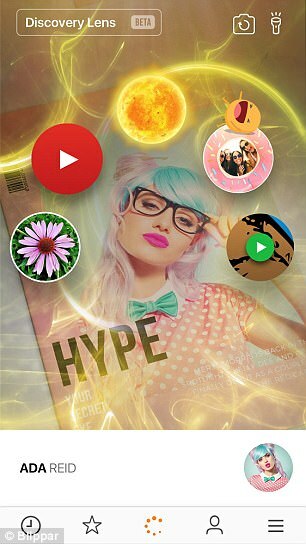 The profiles are a strictly opt-in experience, Blippar said. 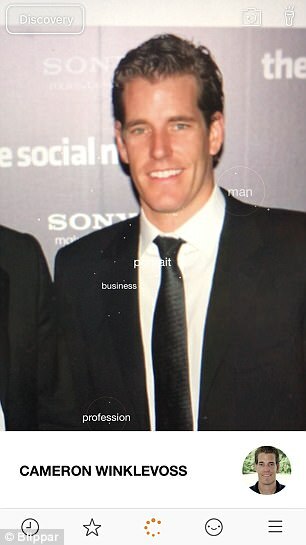 The technology uses rapid computer vision and artificial intelligence to recognise faces in a system that could one day feature in security checks for online banking and building access. Danny Lopez, chief operating officer of Blippar, said: 'The ability for smartphones to recognise people's faces – from actors to sportspeople – allows us to satisfy our innate human curiosity. 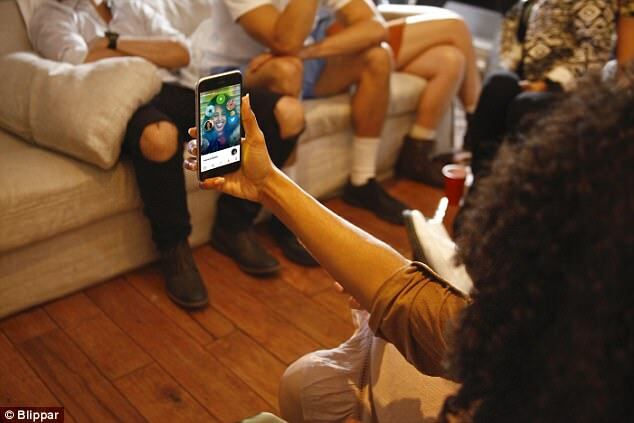 The Blippar app, which is available on both iOS and Android, originally used machine learning to enable users to scan everyday objects using their smartphone. The app would then give more information about each object. The app has also been used for various promotions, including packaging, posters and magazines, where scanning the item will fire up an AR experience - such as bringing at magazine cover 'to life'. 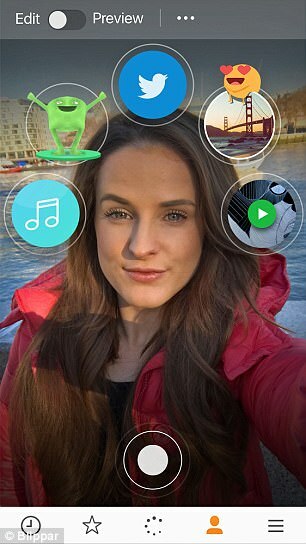 The Augmented Reality Face Profile feature on the Blippar app enables enabling users to scan - or 'blipp' a face, either in person, or from an image or video. Doing this fires up a face profile for the person being scanned. These include curated information and images including optional links to social media profiles, favourite music and even their celebrity lookalike. 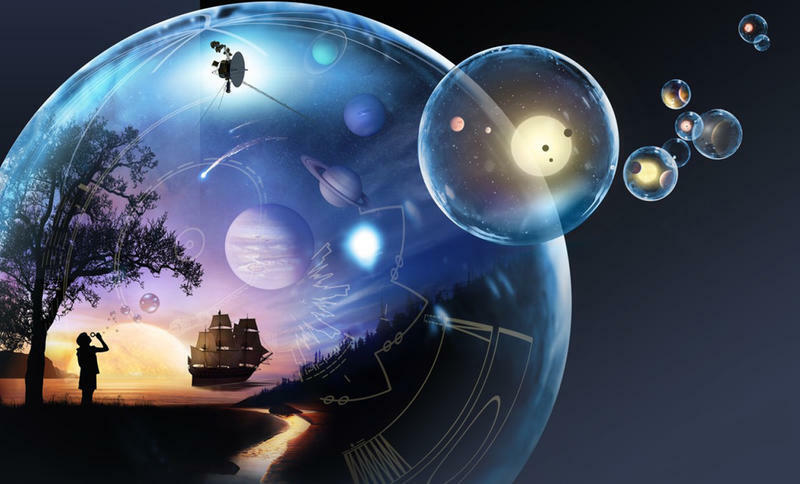 Users will also be able to add connections to things that already exist in Blippar's 'knowledge graph', including 'objects, concepts and entities'. For public figures, their faces will be discoverable via information from the knowledge graph, which is pulled together from public sources. The technology can recognise over 400,000 public figures and has a more than 99 per cent accuracy rate. 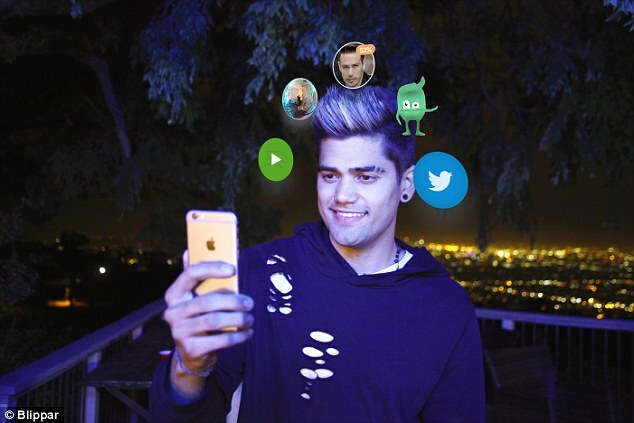 For everyone else, profiles are a strictly opt-in experience, Blippar said. An updated version enables people to scan faces in order to find out more about them. 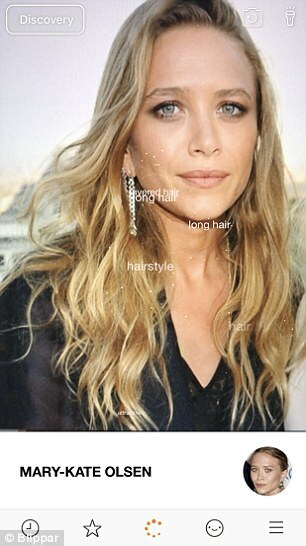 Users can add connections to things that already exist in Blippar's 'knowledge graph', including 'objects, concepts and entities'. 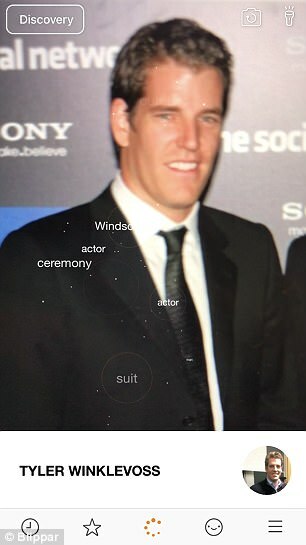 For public figures, their faces are discoverable via information from the knowledge graph, which is pulled together from publicly accessible sources. 'Augmented Reality Face Profiles will change the way we communicate and express ourselves,' says Ambarish Mitra, co-founder and CEO at Blippar. 'Our face is our most expressive form of communication and with this release we are allowing this to become digital for the first time. 'Our facial recognition technology combined with our knowledge graph enables people to express themselves through the things they love, including their hobbies, opinions, key fun facts, and so much more.